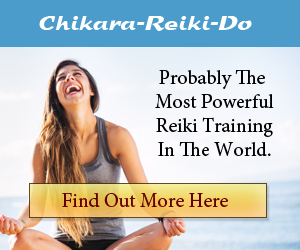 Here’s where you can find affiliate resources for selling the Ultimate Online Reiki Package through Clickbank. If you use Clickbank for your promotions, you will find that a 7 part mini course signup box will appear at the top of the page when your prospects scroll the page. If your prospects sign up for the mini course they will be tagged by our system giving you a further seven chances to make a sale as your Affiliate ID is stored in our system marking you as the affiliate who made the sale. Okay then, please find 2 promotional emails below which we’ve had a lot of success with – feel free to copy and use them as is, or amend them to suit your needs. The presentation and content are quite simply incredible. that isn’t included right here”? just 48 hours – or 24 if you’re really in a hurry. attunement – a truly fabulous experience. Practice – so you’ll know exactly what to do. And lots and lots of help and support too. Answer – Almost certainly No. We both felt the attunement to be a very powerful experience. attunement than from her previous one. After all, he did start something very special. speak with you again in a few moments. many places and there were no programs like this. have tears in my eyes. it seemed that this would add so much more. I do think it has expanded the gift. Which of course it had been. My warmest regards as always. the time to live your dreams.